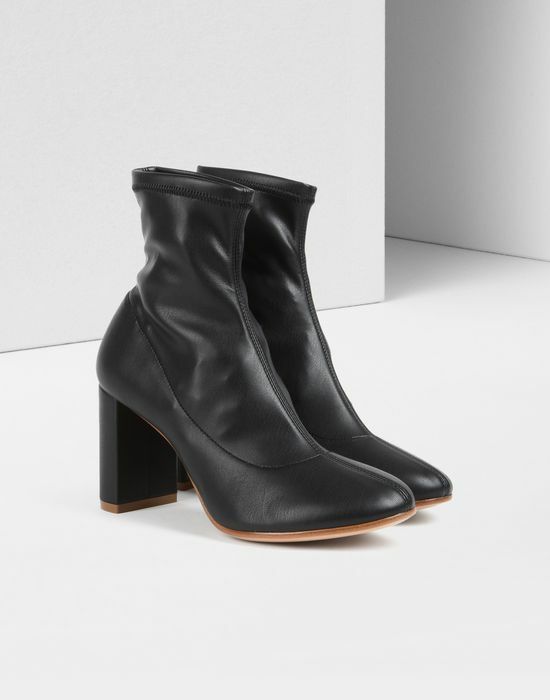 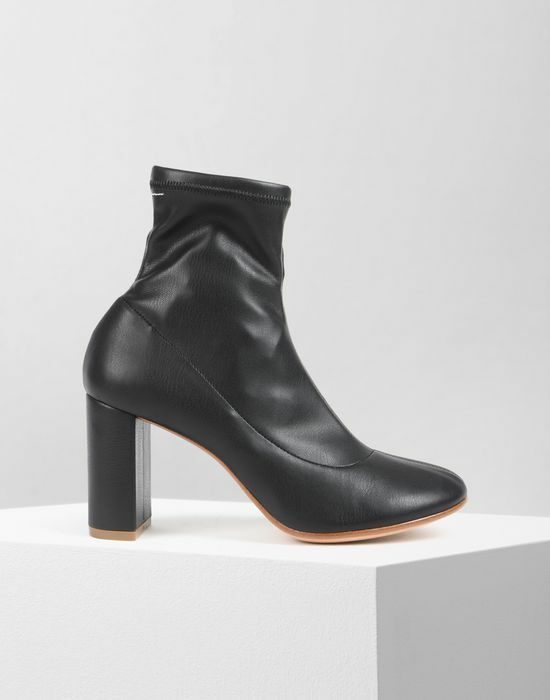 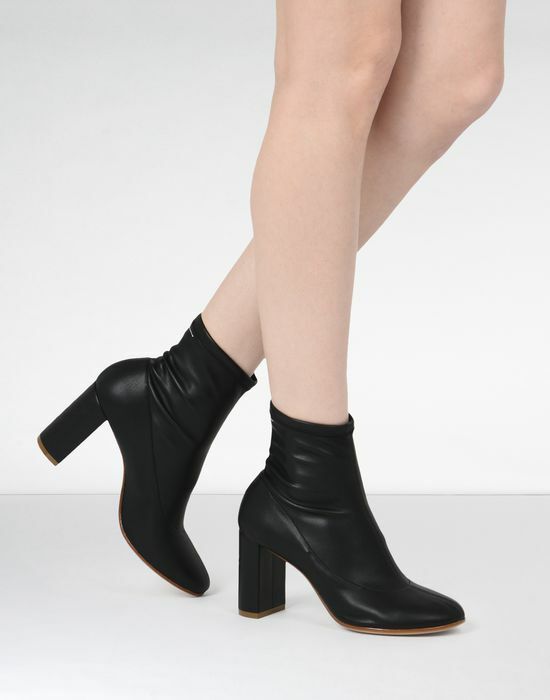 Ankle boots with attached faux stretch leather socks. 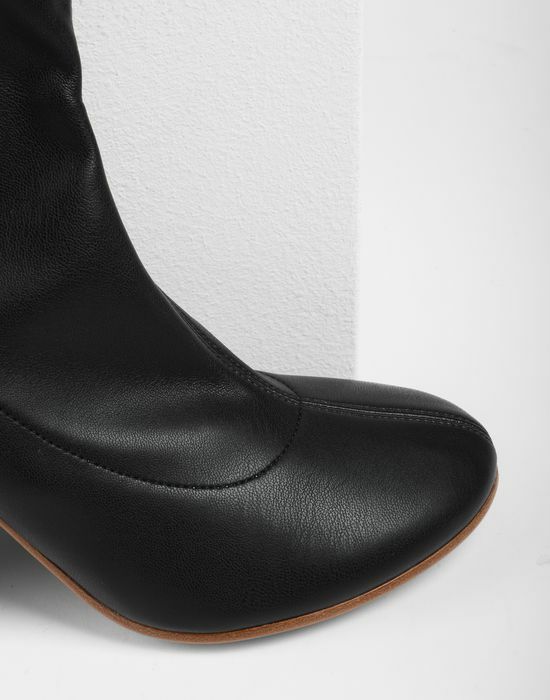 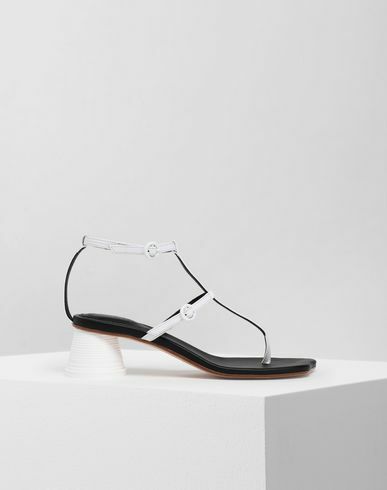 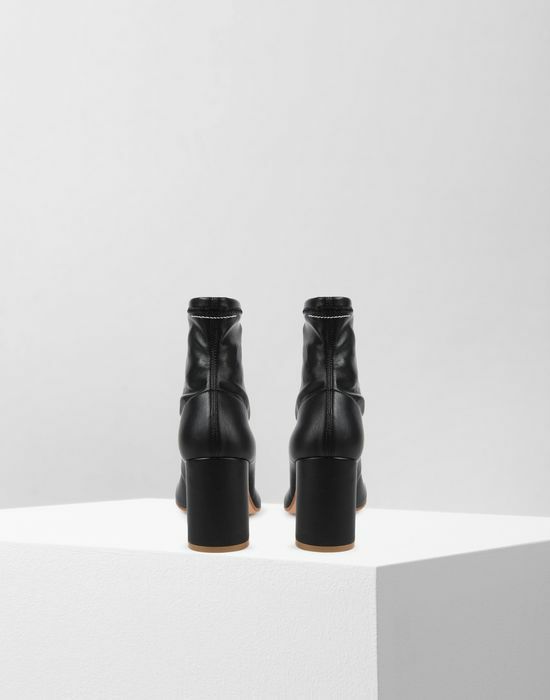 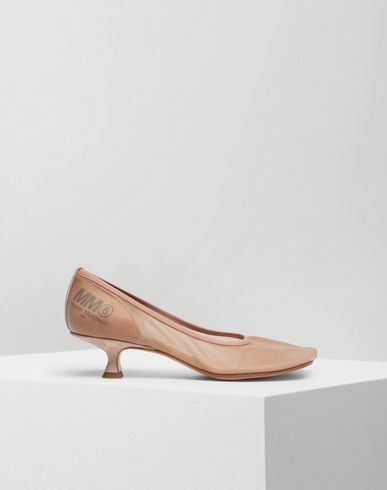 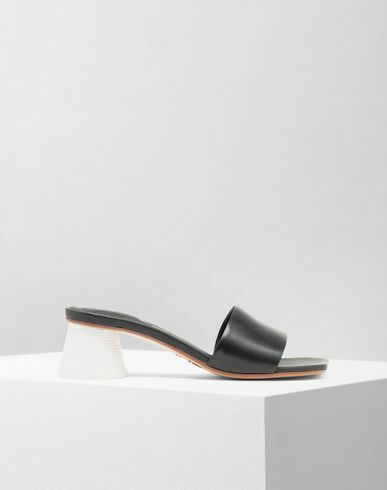 The body, soles and interiors of the shoes are 100% leather. 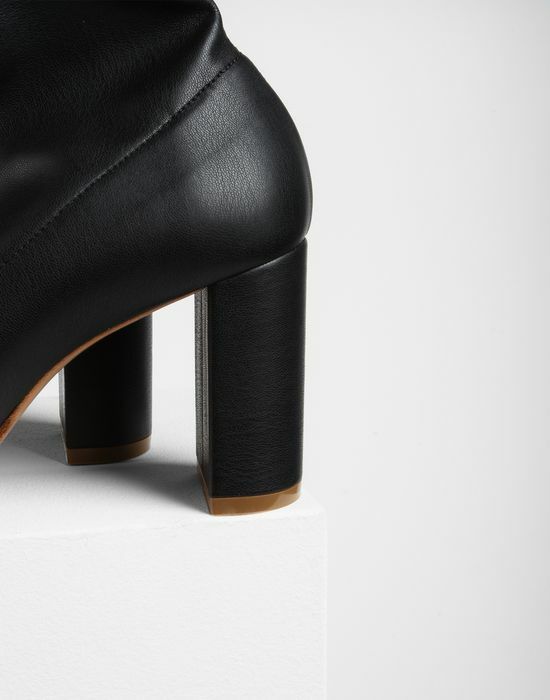 Heel height measures 8cm.